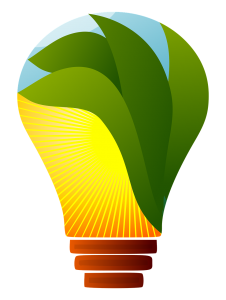 The IESO encourages renewable in Ontario through systems such as a Feed-in Tariff. Businesses and homeowners can apply for a long-term FIT contract to install renewable, efficient energy projects and appliances and sell any generated electricity from these projects back to the IESO. Projects such as rooftop solar generators to power your home’s heating and cooling, or other, are profitable and encourage a greener Canada. These projects are particularly attractive for large businesses and industrial locations, as well as homes with large areas which could be dedicated to solar power. DeMarco Mechanical can help you convert your solar power project into functional heating of cooling systems, for the benefit of your home or business. Call us today for more information or visit your local municipality website for more information about programs and energy. Of the various ways in which you can make your home more energy efficient, installation of a new, low energy, sustainable HVAC system is one of the best options. DeMarco Mechanical offers a variety of Energy-Stars Rated heating or air-conditioning systems for your home or business. Our technicians will help match your home and business to the perfect system based on your energy needs, space, and usage. In this way, you can eliminate unnecessary waste, manage your heating and cooling with advanced monitoring and overall reduce energy consumption and your monthly bills. A new, upgraded system is an investment which pays for itself in the long run. Call us today to learn more about our Energy-Stars rated products and top of the line brands. Our years of experience in the HVAC industry grants us a wealth of knowledge about all forms of repairs, system installations, maintenance and more. With a skilled workforce and highly qualified technicians, we aim to provide our customers with the best standards in customer service, tailored to your individual needs. We are your top choice for furnace technician services Richmond Hill.With our selection of excellent products, we can guarantee 100% customer satisfaction with every single job we do. DeMarco is passionate about our work, which is why we stand behind every job we do, offering continuous support and a full warranty on all repairs, installations, replacements, and maintenance. Richmond Hill – Wide Service We serve all of Richmond Hill and surrounding cities, and the vast majority of Southern Ontario. 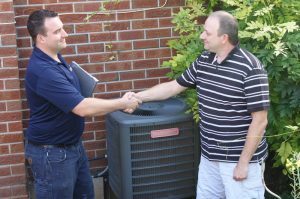 With our far reach, we are able to provide customers ever further away with the highest standards in HVAC services. For a free estimate, or to request a visit, please give us a call or send us an email at (416) 820-9155 or adrian@demarcomechanical.ca. We are always happy to assist you in any way we can.